A sad Day - One of my most favorite Comedic Actors has died of apparent suicide - Robin Williams was found dead this morning at his home - his people have not yet confirmed - but they have issued a statement asking for privacy. I remember him from when I was a kid watching the TV show - "Happy Days", his first real gig, then he got his own show, "Mork and Mindy", before moving on to movies and more stand up shows of his own. We shall miss this shining star from our galaxy. "Good night, Robin; Nanoo, Nanoo"
yes, a very sad day. i've always enjoyed his movies. probably now he's partying again with one of his best friends, John Belushi. R.I.P. 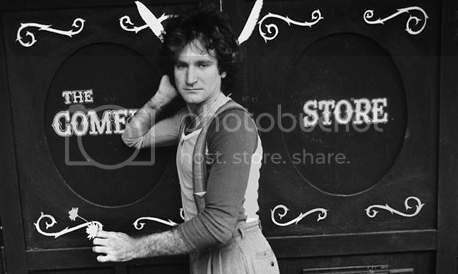 Robin Williams, sad day. Very good actor and good man.